The Quebec government is intensifying its efforts to crack down on wealthy immigrants who have been using the province’s previous regulatory regime as a convenient “trampoline” into Canada’s vibrant housing market. 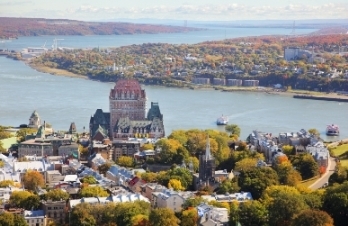 Quebec, which is the only remaining jurisdiction that has the Immigrant Investor Program, has long been a favourite staging point for moneyed individuals who get accepted into the province—only to immediately move to other parts of Canada, CTV News reported. A large proportion of these immigrants who are supposed to work and live in Quebec end up in B.C. and Ontario, officials stated. The phenomenon has led to the provincial government tightening their criteria and review process, refusing entry to applicants showing signs of wanting to reside in another part of the country. Experts predicted that a significant side-effect of this development is a much-reduced immigration volume from Quebec to Vancouver and Toronto, considered as the country’s hottest residential real estate markets. While various analysts and observers have predicted a mass exodus of wealthy overseas nationals to markets outside Vancouver in the wake of B.C.’s new 15 per cent tax on foreign buyers, Quebec-based professionals have argued that the province’s situation is an outlier among the country’s leading markets, citing the difficulties raised by the language barrier and other cultural differences compared to the rest of Canada. Is Montreal the next big foreign buyers' haven?